News — It’s beginning to taste a lot like Christmas! The Muffin Break Christmas range is in full swing until the 31st December! 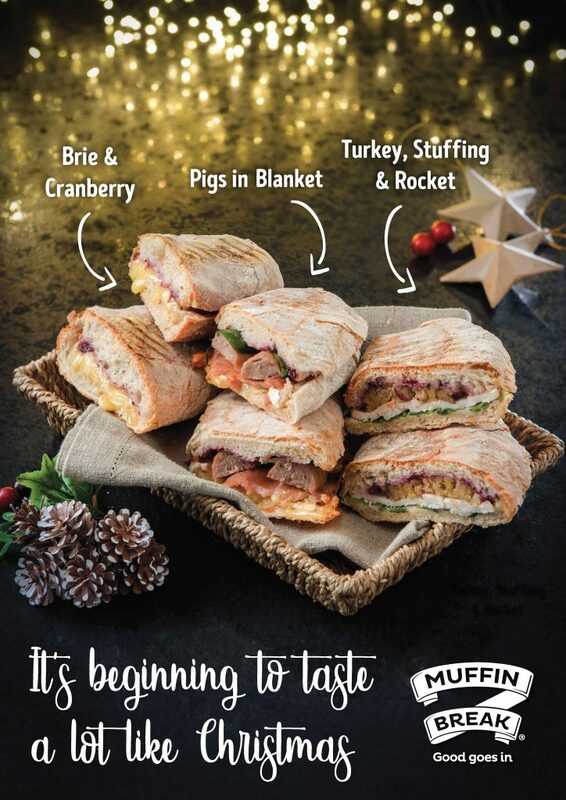 Muffin Break have selected an all-time favourite panini “Pigs in Blankets”. This incredibly indulgent treat is their hero Christmas product and is proving to be a winner. They also have another two delicious panini favourites, Brie & Cranberry and Turkey, Stuffing and Rocket. There really is something for everyone! They have some delicious festive muffin flavours to choose from, including – Cranberry & Orange, Double Chocolate Orange, Winter Berry, Cranberry & White Chocolate and Gingerbread. 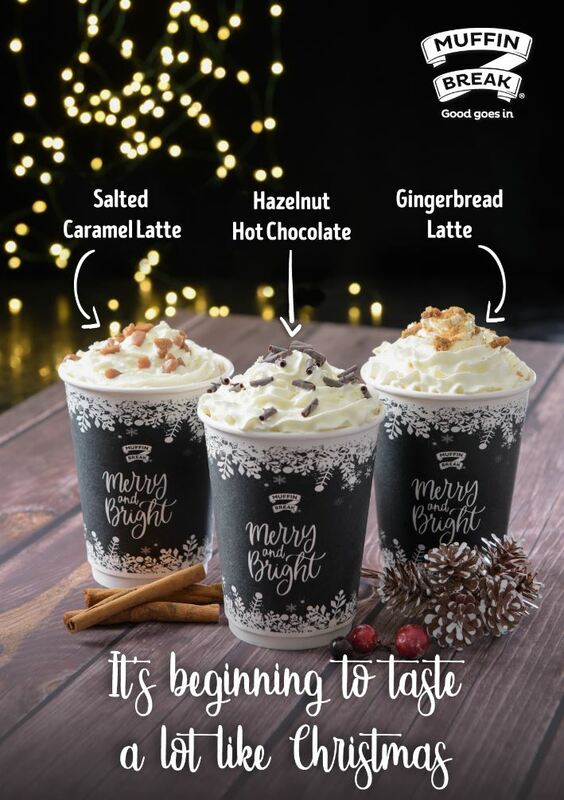 To make the perfect Christmas lunch, you can pair your food with their Christmas range of drinks; Gingerbread latte, Salted Caramel latte and Hazelnut Hot Chocolate. Also, not forgetting mince pies!